Renovation to an existing location. Existing utilities and layout of the kitchen remained while a new bar & back bar, display cases, & finishes were added. 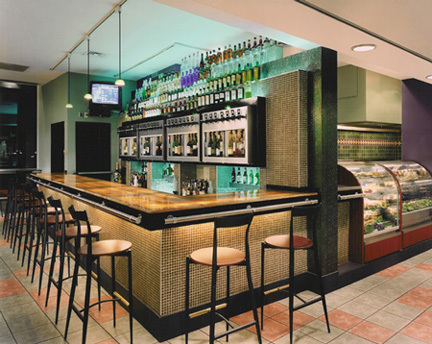 The bar features pour-per-glass wine dispensers, underlit onyx counter and glass mosaic tiles. This location provides a more up-scale dining experience.